Whether you're hoping to fund a new sensory room or mobility aids for someone you love, raise money to help improve the lives of disabled people. Support for a friend or relative with a disability can take many different forms: from providing general care to making changes and improvements to the home to improve quality of life. Whatever is needed, it can prove to be quite costly and sometimes beyond the means of the individual. In situations like this crowdfunding can provide a good option for those wanting to raise money to support the disabled, whether that be providing infrastructure, supplies or care for an individual or support to large groups through social initiatives, crowdfunding can be a great way to raise the money you need. Nia wanted to create a ‘sensory garden' at Tommscare day service for young autistic adults. They raised £582 to build water features and provide sensory plants. 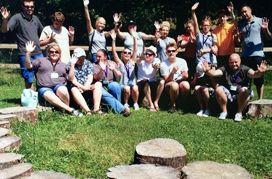 Stephen and Andy organised a team building event for 25 amputees to help reinstall their confidence, which is an essential part of rehabilitation. Jen raised £450 to buy a trike for Max – a boy with global development delay. 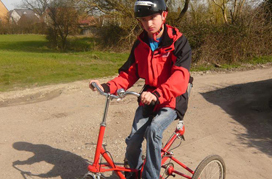 The trike will help him to get out in the fresh air, experience nature, and socialise with his family and friends.